Every year a slew of new and improved vehicles hit the road. Sometimes these are upgrades of previous models and other times and brand new idea comes to life. The car industry in America is large and has always been the staple of American life. Most cities and states count on drivers for their economy to thrive. There are a few, limited cities in this great country where a car is not a necessity. New York City for example has ample transportation from trains, to subways and taxis. You don’t really need a car. But in states such as California, a car is a part of life. Commuters need it to make a living. Moms need it to get their children to and from their activities. And even retirees count on their cars to make it to doctors appointments. Whatever you reason for needing a car, you’ll want to know what is out on the market. Some of us love the “new car smell”. You might lease so that you can always have something new and improved. Some of us like our used vehicles because they cost less to insure. Either way you will need cheap car insurance no matter where you live or what kind of car you drive. The amount of insurance you need to feel secure in your investment depends on many factors. How new is your car and do you have a loan out for it still? Do you own it outright? Does it have a large and powerful engine? These are a few things that come to mind when realizing how important car insurance is. If you are in the market for a new car, or just like to stay up to snuff with whats going on in the car world, keep reading. 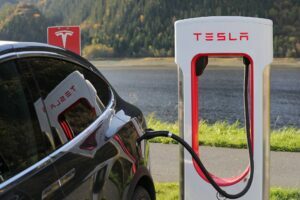 2019 is an exciting year for cars, especially electric vehicles. The progress made to keep our air quality great and roads safe is quite impressive. It isn’t just in the United States where this takes place. Globally the car industry has taken a turn towards better fuel economy and away from carbon emissions. Keep in touch and stay in tune with what’s going on in the car world as well as environmental sustainability. Here are some great examples of electric cars you could purchase in 2019. They hit just about every price range, but remember, you won’t be needing to pay for gas anymore. Audi e-tron. This car was supposed to hit the market in 2018 but had a couple technical hiccups. Supposedly these are all cleared up now and the Audi is making a come back. This beautiful car has luxury, style as well as an affordable sustainability price tag. That means, no gas for you. This car has a 95 kw battery pack and can take you about 200 miles before needing a charge. It isn’t going to last for long road trips, but with more and more charging stations being put up all over, you can still make due. It seems that the quality of this car is very good. The interior is beautiful and sticks with the traditional Audi style which is quite European. Did I mention that this car is an SUV? That’s right, a little bigger interior and more room for the family. You can purchase this car for around 75 thousand dollars. A more affordable option is our next vehicle. The Nissan Leaf. This year they have made a few upgrades for the Leaf. And although it still only has a 60 KW battery, you will enjoy the price tag of around 25 thousand dollars. Nissan has been making this electric vehicle for the past few years and although the design isn’t very popular the price tag is. You will be able to make it around 200 miles before having to re-charge this little crossover. And when I say little, I mean little. It is more of a car than an SUV. It does however have a nice storage area in the back and can fit into those compact parking spaces. Volvo has come out with an all electric SUV. A crossover really, but improved! The XC40 is stylish and well-designed vehicle with a reasonable price tag. This car will be priced higher than it’s non-electric brother which is a huge seller in the Volvo community. Your electric version of this SUV will be around 50 thousand dollars while the non-electric version is around 35 thousand. It all depends on what you are looking for I guess. 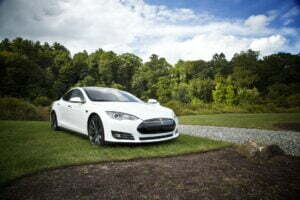 Looking to save money long term, then get your hands on an electric car. This one will get you around 200 miles which is typical. Nothing special about the make of this car unless you are a Volvo fan. If you are starting a family this year and need to upgrade to a larger vehicle or just a more family-friendly model then look here. Fitting car seats, soccer balls, animals and groceries means you need more room but it doesn’t mean you need to spend a ton. Here is a list of great family vehicles for 2019. Once again the best minivan on the market is the 2019 Honda Odyssey. This van has been number one for many years and the details just keep on getting better. You can expect to have a total makeover on this years model and still only spend about 30 thousand dollars brand new. Now you won’t be getting this in electric form however you will get about 28 miles per gallon on the freeway. It seems that the only thing this van needs is an upgraded gas mileage. It has the top safety technology and a very comfortable ride. With double sliding doors and ample leg room, the whole family and then some can fit in this awesome van. Honda has a great reputation, so take them seriously when they say that this van is the best on the market. Now if you are looking into purchasing something brand new, you will need full coverage on your car insurance. The best three row seat SUV goes to the Volkswagen Atlas. This small looking SUV is actually quite roomy on the inside. If you are a fan of the VW, you will want to check out the interior of this ride. The steering and drivability is great and rated a 5 out of 5. For around 30 thousand dollars you could drive off the lot with a three rowed sports utility vehicle. If you are looking for a great family car that looks more like a car than an SUV, check out the Subaru Outback. This is basically a wagon. It has the feel and handling of a car but with much more room in the back. These are great cars if you live in the snow because of their all wheel drive capabilities. The roof rack is great for storing skis or camping gear. This car is perfect for the family that likes to explore the great outdoors. You can be sure to get better gas mileage than a truck but the truth is, gas mileage isn’t that great in this vehicle. Starting at around 25 thousand dollars, you can get Apply Play and a great safety reading. But you won’t be saving money at the pump anytime soon. 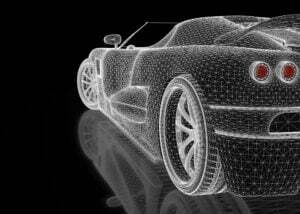 The luxury car department is made up of not just mid-sized sedans, but electric cars and SUVs. There are a more than a few cars in this category to brag about. These are just a few of the top ranking luxury cars of 2019. 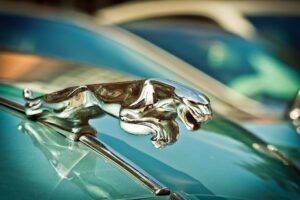 You might be looking for just a little bit more security in insurance when shopping for a luxury car. The BMW 5 Series. BMW time and time again makes this ranking. The number one ranked luxury car is a sedan with an amazing interior, sporty exterior and handling that cannot bematched. Although this car only gets 25 miles per gallon, it really isn’t made for great gas mileage but speed and fun. It has a large trunk, great handling and a very fun driving experience. Ranking 9.2 out of 10 by U.S News And Review, it is one of the highest ranked cars on the market. The base price for this model is around 55 thousand dollars. But you could easily spend 80 grand on getting the best of the best. One luxury vehicle you may not think of naturally is the Tesla X model. This small SUV is like nothing else on the market. Not only is it an electric vehicle with butterfly doors, but it handles like a sports car. With a 5 star overall rating and a fun looking exterior, you can’t go wrong with this X model. With room for 7 people and a 295 mile battery range, you won’t find anything else out there on the market like this car. It has all wheel drive as well as a roof rack located on the back of the car. You can have this amazing car for 80 thousand dollars. When you consider you won’t ever need to fill with gas again or get an oil change, it might be worth the price. Another less known electric vehicle that marks the luxury boxes is the Jaguar iPace. This new 2019 model of Jaguar is cute, fun and reasonably priced. This fully electric SUV can be yours for around 68 thousand dollars. It has a sporty exterior and ample trunk space. You can get around 240 miles on one charge which is up to standard with much of the other electric vehicles. This car has climate control seating and beautiful, soft leather interior. It isn’t probably what you think of when you think “luxury”. But this car is luxury of the future, teaching us all that beauty, style and affordability can be yours. When searching for a truck, the same three or four brands and models usually pop up. But if you want the true skinny of the best of the best for 2019 specifically, then look no further. You can have style, drivability and great towing all in one vehicle. 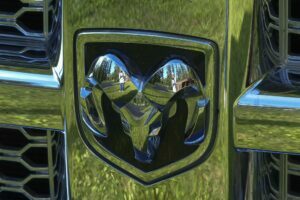 For the 2019 season, the Dodge Ram seems to come out on top in multiple reviews and ratings. Not only does it have a great price tag starting at only 28 thousand. The Ram 1500 has a whole new look and a great interior as well. From performance to interior comforts, the Ram ranks high in every category. Getting around 20-25 miles per gallon, it won’t save you on gas but what do you expect from a truck. This half ton pick up gives you just enough of what you need for towing as well as all of the features you want for comfort. With about 300 horse power you will have fun driving this large vehicle. In 2019 the Chevy Silverado and the Ford F-150 just about match up perfectly to one another. This comes down to price since they review and score about the same. The base price for the Ford is about 4 thousand dollars less than the Silverado. If you are a Ford fan this will make you happy. However, many people are loyal to their Chevy trucks and the outstanding performance they have served year after year. The drivability, towing and breaking is very similar. The Ford has less of a turning radius which can be problematic. And the Silverado seems to have a softer and more luxurious interior. This really comes down to preference and that is why both of these trucks tie for second place. In 2019 you might be surprised to find the Nissan Titan is one of the better trucks to choose from. With a few upgrades, this truck has a few things that the others don’t. One is that it looks so different on the exterior and comes off in a more sporty appearance. This truck has a very high safety rating compared to the others. It has a quiet and comfortable cab but lacks the towing power of some of the other trucks. You also won’t get the gas mileage like the Dodge, but you can save a little bit at the bank. It might take a few more years and upgrades for this truck to sustain the same status as the Chevy, GMC or Ford does when it comes to usability as a towing vehicle. You can purchase the Nissan Titan for around 35 thousand dollars. No matter what kind of vehicle you are looking for this year, you will have plenty of selection. Many people steering away from luxury and a powerful motor and leaning towards saving money on gas and emissions. The electric cars coming onto the market are quite remarkable. It has everything to do with preference and lifestyle. Looking for the best cheap car insurance in your town means talking with a broker who knows the ins and outs of the market. Insurance is the most important feature to any car. Besides having a great warranty, you cannot put a price on a great insurance policy.